Summer vacation time is upon us and many of us will be traveling to get a little sun, rest and relaxation. And most of us will return from those trips bloated and heavier than we were when we left for that vacation. Last summer I drove to New Orleans Louisiana form the east coast of Florida. It was a very long trip. I was determined to stay on my eating plan the whole trip. My one allowance was to have a beignet at Cafe Du Monde, which is something you have to do in New Orleans. My trip was so successful, I actually LOST a couple of pounds on my trip! What was my secret? I purchased a car cooler that plugs into the power source in your car. I meal prepped and brought lunch, dinner, snacks and drinks for each day of my trip. I brought my protein shake packets and a tiny single cup blender for my breakfast each day. During my road trip, all I had to do was open up the cooler and grab my food. I did this every time I had more than a couple of hours of driving ahead of me. P.s. This was a HUGE financial savings for my trip too! I was able to stay in a much nicer hotel in a great area because I knew I wasn't going to be paying an arm and a leg for several meals each day of my trip! 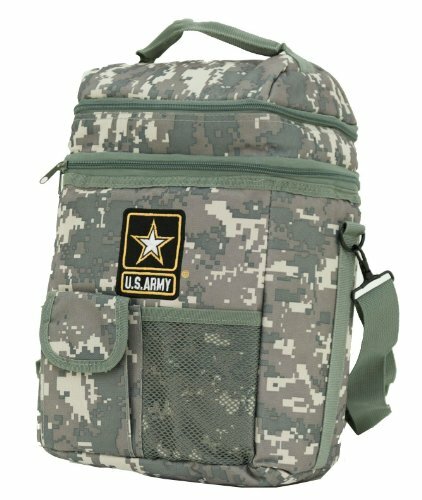 Insulated Lunch Bag Cooler 12 Can Shoulder Strap Dual Compartment Official U.s.army Camo Cooler Support Our Troops! For flights, obviously, you can't take a car cooler. 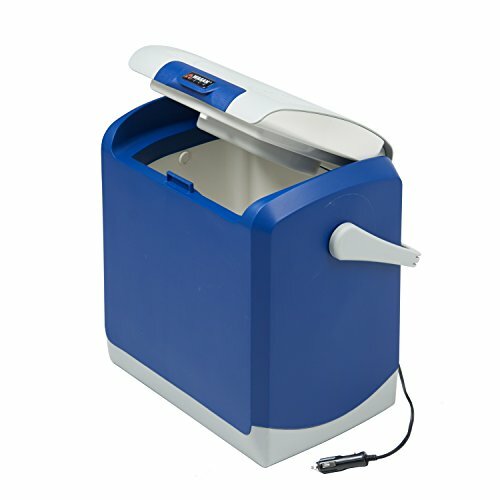 But you can bring a lunch box that has the insulation built into it that you can prep the night before your trip. This will cover you for the day of the trip, with all the snacks you have to keep cold. Anything else, that doesn't fit into the lunch box, throw in your carry on. Nuts, beef jerky, apples, individual packets of nut butter, individual cans of tuna or chicken salad, protein shakes and a blender bottle are great options. No refrigeration needed for these on the go snacks. In your cold lunch box, pack small containers of salad with your choice of protein, salad dressings, boiled eggs, carrot sticks, hummus, cheese sticks, etc. When it comes to eating out, most places have healthy options, so you can stick to your plan. When I am traveling, I allow for ONE TREAT. You can plan it out like I did with my New Orleans trip, or you can spontaneously use it if something really tickles your fancy and just have to try it. This is a great approach because that treat then becomes the highlight of your trip. Instead of just going insane and blowing off your eating plan, completely wrecking the progress you made, and returning back from your trip feeling bloated, guilty and heavier by a few pounds, you can return from your trip feeling great and with the memory of that one special treat that you enjoyed thoroughly, guilt-free!